This is Stephen Hawking's updated, expanded and illustrated edition of his celebrated work which includes the most recent developments in the field, many of which were forecast by him. At the same time, he explains his complex theories through a fresh visual dimension. Over one hundred and fifty stunning colour illustrations have been specially commissioned for this purpose to help the reader understand what have become popular mythic images of our century, but which nonetheless remain difficult, abstract ideas to grasp. It includes a new introduction written specially for this edition. STEPHEN HAWKING was a brilliant theoretical physicist and is generally considered to have been one of the world's greatest thinkers. He held the position of Lucasian Professor of Mathematics at the University of Cambridge for thirty years and is the author of A Brief History of Time which was an international bestseller. 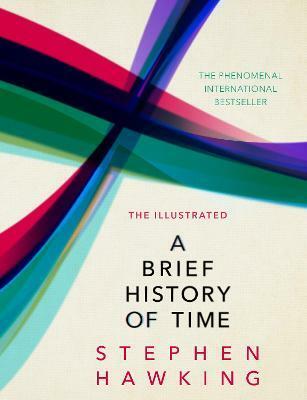 His other books for the general reader include A Briefer History of Time, the essay collection Black Holes and Baby Universe, The Universe in a Nutshell, The Grand Design, and Black Holes: The BBC Reith Lectures. He died on 14 March, 2018.